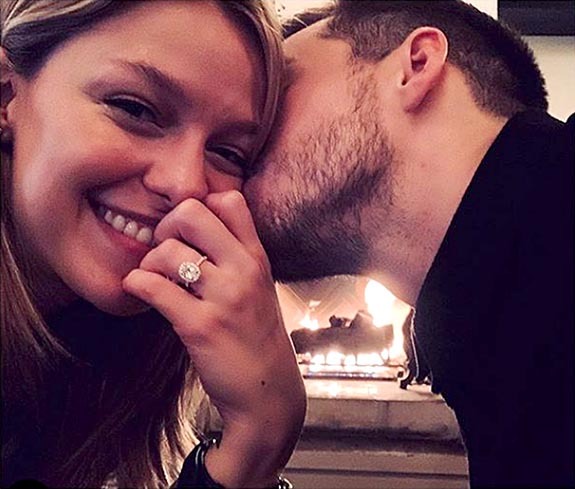 “Supergirl” actress Melissa Benoist announced her engagement to co-star Chris Wood and unveiled her brand new oval-shaped diamond engagement ring on her Instagram page Sunday. The white-metal ring, which is likely platinum, is highlighted by an oval diamond in a halo setting, complemented by a pavé diamond band. An industry insider told pagesix.com that the center stone appeared to be 3 carats and estimated the ring’s value in the range of $100,000 and $200,000. 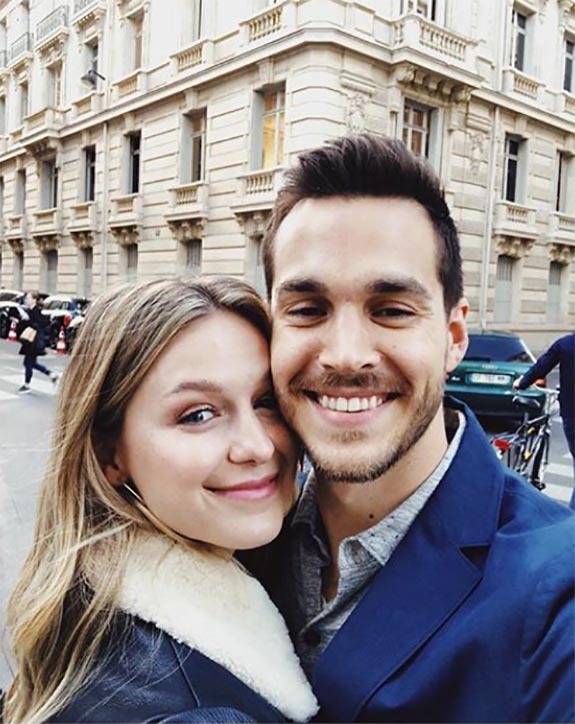 Benoist and Wood met in 2016 on the set of the CW series “Supergirl,” with Benoist in the title role and Wood playing her on-screen love interest and fellow superhero Mon-El. While both characters enjoyed super strength and a slew of other extraordinary powers, each had one major weakness. 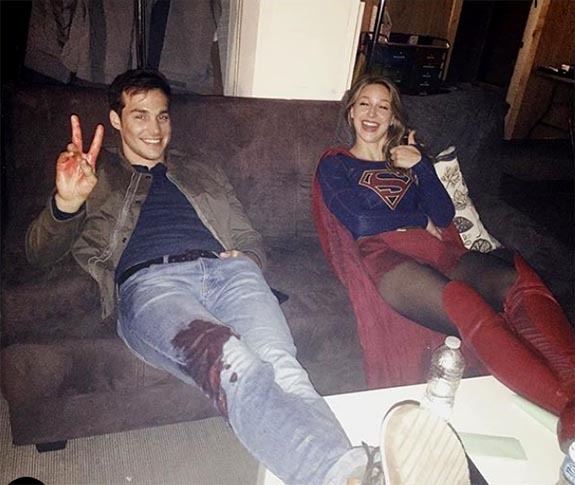 Green kryptonite would make Supergirl painfully ill and Mon-El would collapse in agony when exposed to lead. We’re wondering… If a dastardly villain posed as a fine jeweler, might he recommend an engagement ring with a green kryptonite center stone set in lead?